Game description: Hundreds of years before Lenneth's tale, another saga lies concealed by the gods. The valkyrie Silmeria once served Odin loyally, but after an incident ignited a conflict between them, Odin forcefully reincarnated her as a human. The human soul that would carry her spirit was that of Alicia, Princess of Dipan. Ordinarily, Silmeria-s consciousness would have been sealed, her spirit dormant until she was next summoned... However, the forced transmigration causes Silmeria's spirit to awaken within Alicia, leaving two souls to inhabit a single body. The spirit that should have been sealed has awakened-a situation Odin will not ignore for long. This installment introduces the new Photon Action System to the classic side-scrolling action format found in the original. Projecting photons grants players more freedom to explore and expands the action, resulting in challenging puzzles with clever solutions. Add to that "sealstones" that affect the laws of nature in dungeons, launching strategy to new heights. The unique battle system of the previous game has evolved into the Advanced Tactical Combination Battle System. Holding the triangle and X buttons while the game boots up allows the selection of Progressive Scan mode. Interlacing can be disabled. There is a widescreen patch for the game, but the NTSC-U version was removed from the archive in the git build 1.5.0-dev-1090 due to the fact that it causes various freezes in the game. Most notable was if you try to enter 'Sound Settings' while the patch is enabled, it will instantly freeze PCSX2 entirely. The same happens when trying to enter the Change Attack screen, or even fighting the final boss. This is most likely caused by the built-in anticheat system of VP2. Description: The monsters will drop way less items than they should and you'll rarely get the direct assault item. The game might freeze in the menus, and you won't be able to fight the griffon in the Ancient Forest. Workaround: This is caused by using widescreen patches. Play the game without widescreen patches, and use the built-in native 16:9 support instead. Crash while attempting to adjust speaker position under Options. Description: The game will freeze when you attempt to adjust the speaker position under Options. The Console log will display various 'TLB Miss' errors. Description: When using Direct3D hardware renderers, the game will be missing various kinds of post-processing effects. Workaround: Under GSdx options, set the Renderer to "OpenGL (Hardware)" with Blending Unit Accuracy to "Basic" or higher, or set it to one of the software renderers (strong CPU required). Note that Internal Resolutions other than "Native" will cause minor ghosting and alignment issues for these effects. Description: Real-time shadows are missing. Workaround: Under GSdx options, set the Renderer to one of the software renderers or "OpenGL (Hardware)", with CRC Hack Level set to "Minimum (Debug)" and Blending Unit Accuracy set to "Basic" or higher. Note that this requires a powerful system. 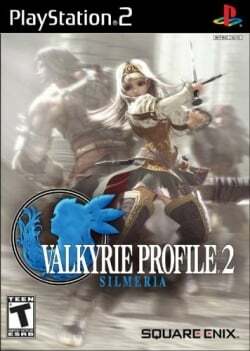 Description: Valkyrie Profile 2 suffers from ghosting similar to Tales of the Abyss. This issue only occurs on certain maps. Workaround: Under GSdx options, Enable HW Hacks, and then set TC Offset X: 450, and TC Offset Y: 250 to mimimize ghosting. Note that his will cause graphical glitches in other scenes. Alternatively you may also use the Alpha Hack, but this will remove some effects from the game. Description: In some areas of the game (in particular the Forest area at the start of the game), there will be a purple effect all over the screen when the Renderer is set to any of the Hardware modes. You can still advance, but it will be very difficult to move around without being able to see where you are exactly. Workaround: Go to Config -> Video (GS) -> Plugin Settings, set the Renderer to "OpenGL (Hardware)", and set Blending Unit Accuracy to "Basic" or higher will be slower but Basic is fine. Or set the Renderer to any of the Software modes. Note: OpenGL HW mode will need CRC Hack Level set to "Full (Safest)" for the best performance. For best performance in SW mode, make sure you set Extra rendering threads to 3 under GSdx's options if your CPU is a quad-core processor. Description: Some FMVs will have vertical lines on them, some will be barely noticeable while others are visible on the entire screen. It doesn't affect the game much itself as everything is still visible. Press F9 to switch to Software Mode. Audio missing and freeze during cutscene. Description: Entering the boss room in the Turgen Mines dungeon triggers a short cutscene. Audio is completely missing during the scene. Half-way through the scene the game softlocks. Some animations will continue to play, but the cutscene does not advance and trigger the boss. Workaround: Go To Config > Audio (SPU2) > Plugin Settings, and set Synchronizing Mode to "Async Mix". Alternatively, press "start" to skip the cutscene. The boss battle will resume after skipping it. Description: Using Direct3D11 (Hardware) on an NVIDIA card will cause a drop in frame rates and the game menus will zoom in and out. Workaround: Enable the NVIDIA Hack or run the game in Progressive Scan mode. Information enabling Progressive Scan can be found under the Trivia section. Description: The fog in the first section of the dungeon will be dark, making the entire area a bit difficult to see. The character textures however, will still be visible. This page was last edited on 25 August 2018, at 18:44.